Hot Italian brand Superga is preparing to stride into the local market at the Australian Shoe Fair in February. 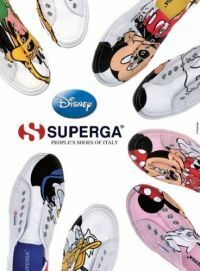 Superga’s iconic casual 2750 sneaker forms the core of the label’s offer and will be available in a wide range of colours, as well as a Disney inspired line for adults and kids. Superga Australia head Daniel Goldberg said the brand had had a presence in Australia around 10 years ago but was now returning to the market with a vengeance, following a global brand revamp over the past five years. Retailing for around $89.95 for the classic 2750, it would provide the casual footwear market with a further choice of brand, he said. Goldberg confirmed hundreds of colours and styles would be available to buyers at the Australian Shoe Fair, taking place from February 14 to 16 at the Sydney Exhibition Centre.